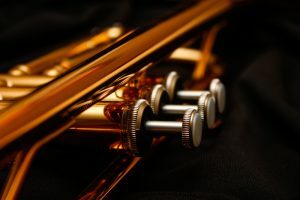 Doesn’t matter if you’re new to the scene, or maybe you’ve been playing it for a very long time, if you intend to have a good sound, the right trumpet is an absolute must. 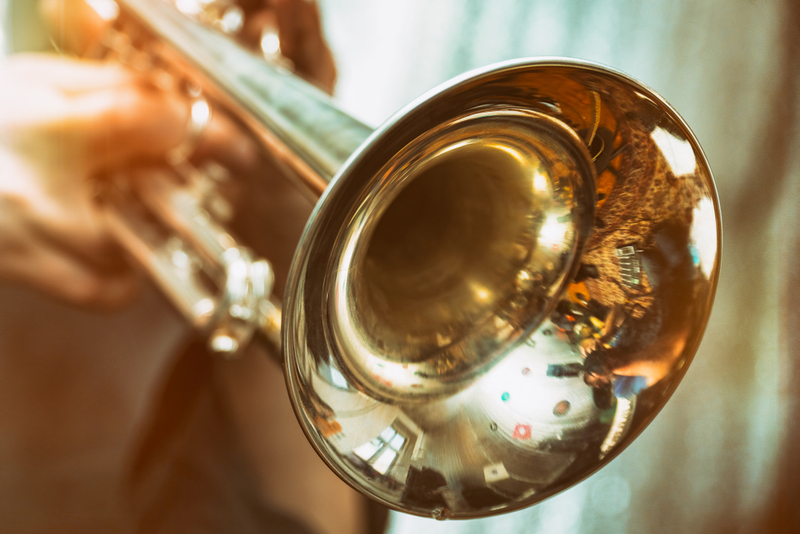 There are many musical instruments that are responsible for progressing music through generations helping create value and carve the world through music, the one instrument that stands out amongst most is the trumpet. You may believe that this timeless instrument has always looked the same way it does right now but in reality, it has gone through multiple changes to get to where it is today. It’s hard to believe how something that once utilized as an instrument for signaling and announcing in the Middle East has become a staple versatile instrument in our society. Whatever instrument you get – either an intermediate trumpet or a professional level trumpet – choosing the right instrument is just as important and choosing the right piece of music to play on that instrument. Buying a trumpet that is designed to the player’s strengths is important for those seeking to produce a quality, pleasant sound. With the right instrument, players can play to their utmost potential, but choosing from a wide range of options on the market can be quite difficult. When choosing the right trumpet, there are many factors to consider. And while it’s great to have so many options, this can make the decision difficult for buyers, even those who have experience with a particular type of trumpet. 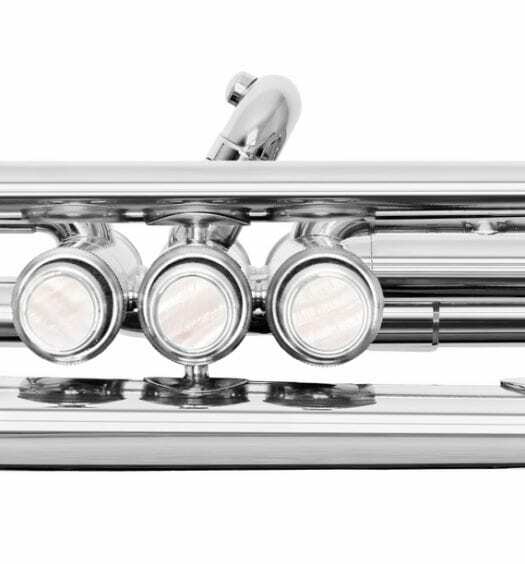 Before you make the purchase, it is important to understand the key pieces that combine to form a trumpet and produce the unique sound: the bore, the leadpipe, the valves, the bell and the finish. Bore – One of the most important things to factor in is the trumpet bore. It is truly amazing how small variances in each of these measurements can greatly influence the sound it produces. The bore relates specifically to the diameter of the tubing used to make a trumpet. Most players use a bore from around .458″ to .460″. The bore size varies greatly between different horns with cornets or piccolo trumpets generally having the smallest while tenor trumpets, tubas, and trombones generally have larger bores. The differences in sounds produces are pretty audible with the smaller the bore size creating a softer sound and larger bores producing louder, bolder sounds. Mouthpipe – A Mouthpipe or leadpipe is the pipe or tube into which the mouthpiece is placed. It can be made o yellow brass, red brass or sterling silver. Red brass is often preferred for student trumpets because it is less susceptible to corrosion. Yellow brass requires more frequent cleaning. The shape of the bell or leadpipe determines how much of the wave is reflected back inside, and consequently affects the strength of the resonance. A smaller bell reflects more energy into the instrument. There is also a reversed leadpipe in which the tuning slide goes over, rather than into the leadpipe. It is a step-up feature, desirable because it decreases resistance. Bell – This is the part of the trumpet where the sound comes out of. Mostly made of brass and can either be lacquered in gold, which produces a more mellow sound, and silver-plated, which produces a brighter sound. Yellow brass is the most common and is used in horns from student models to professional instruments. More important than the bell material is how the bells are made. The best bells are one-piece, hand-hammered into shape over a mold by a skilled craftsman. These bells vibrate more uniformly. Student horns usually have two-piece welded bells, as compared to the one-piece bells found on the professional horns. Bells also vary in size and taper, both of which can affect the sound of the instrument in subtle ways. Valves – The main moving parts of the trumpet are the valves or “valve piston” as the player pushes down on them to make different notes. The quality of the horn is largely dependent on the ease of use and accuracy of the valves. They come in a variety of metals. Nickel-plated pistons are often found in student trumpets because they are hard, durable and tolerant of infrequent cleaning. A large number of intermediate horns are made with Monel allow which is softer than nickel. They are sturdy and are quite resistant to corrosion and are comfortable on the fingers. Professional horns, on the other hand, are usually made of either Monel or stainless steel. The critical factor is that the valves play quickly and smoothly. 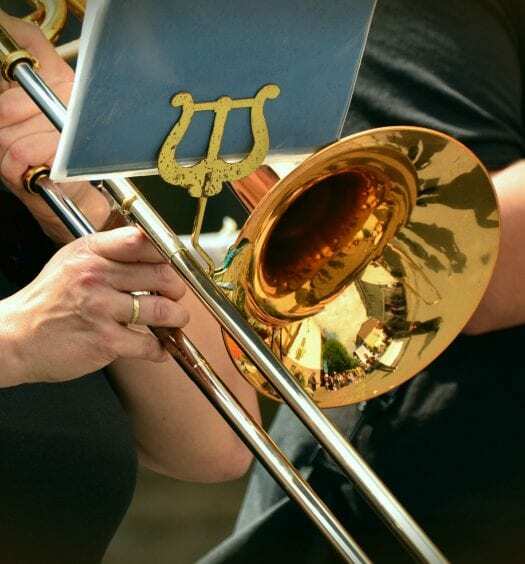 Finishes – Trumpets usually have a clear lacquer finish on a buffed brass surface. Another kind of finish is silver plate which is considered better than lacquer because it is thin coated compared to lacquer and allows the metal molecules to vibrate and ring more, resulting in a brighter tone. Silver-plating is applied by electroplating. Gold-plating is only available on professional horns and slightly darkens the tone. It also adds a lot of appeal for the trumpet player who’s not wedded to traditional looks. Storage – Although violins and other stringed instruments are more prone to temperature change and humidity, most brass instruments are much more resilient. Owners of a quality trumpet, however, should still make sure that the trumpets are not subject to extreme temperatures. Trumpet experts say one of the best ways to protect your instrument from dust, moisture, and other elements is to store in its original case. Besides protecting the trumpet from things that could lead to corrosion, the case also protects the instrument from anything that may shift and fall on it during its time in storage. Trumpets often lose their shape if stored in a case with poor pressure points. For the best results, keep trumpets in a hard case in a room with a regulated temperature. Budget – Budget is definitely a deciding factor when it comes to choosing the right instrument. Trumpets are really expensive and the professional ones can easily run into five digits. Most step-up trumpets, though, come in the neighborhood of one or two thousand dollars, which is still a big deal. If you’re on a tight budget, but desperately need a professional trumpet, try looking for a used horn. There are some good reasons to opt to rent an instrument as well. But you don’t have to worry because all rental instruments come with free servicing and maintenance. The golden rule is to buy the best you can afford. That being said, go to your local music store and test all the trumpet they have, before making the purchase. You don’t want to rush it, so give yourself as many options as possible. Test as many trumpets as possible. 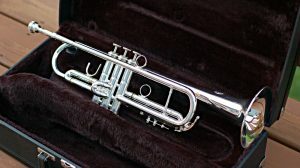 If you’re in the market for a pro horn, you should learn all you can about different trumpet types and accessories before buying in order to get the best deal. As an instrument that makes distinct sounds from model to model, it is important to find the right one before committing to a purchase. No matter what the need, a little research can go a long way to finding a pro instrument that will last and produce quality sound for years to come.